What Is a Luxury Vodka? 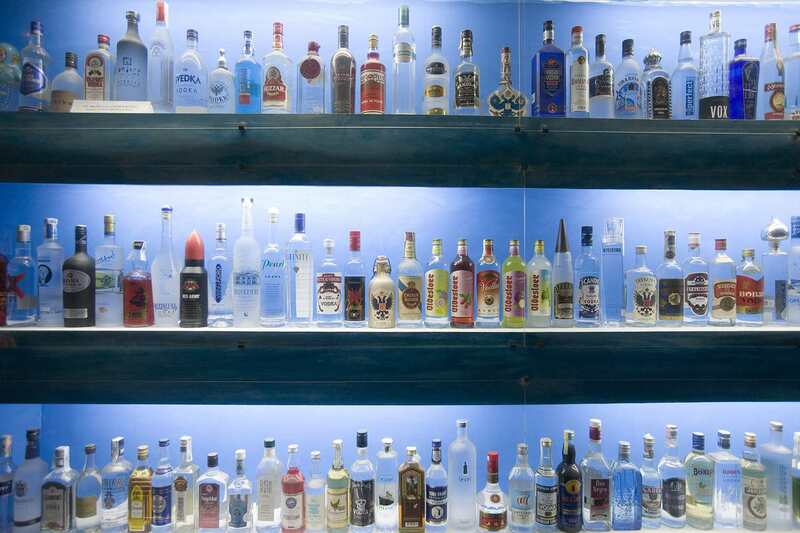 There are many vodkas in the world. Some are good, many are mediocre, and some are spectacular. For the vodka connoisseur, it can be an endless pursuit to discover and taste all of them—though this is, admittedly, not a bad challenge to have. Trying to define a "luxury" vodka is a matter of perspective. You will find many lists online that explore luxury vodkas. They are filled with beautiful bottles, many of which are only attainable by the rich and famous. If the price defines luxury, then they would fit the bill, but they're out of reach for the average consumer. The reality is that for most drinkers, luxury vodkas are going to be the top-shelf brands that cost somewhere around $50. These are not your every day "well" vodkas or the giants of the vodka world. Instead, they are the specialty vodkas that you'll want to mix into a vodka martini or enjoy over ice with a few good friends. Let's look at 10 premium international vodkas that are definitely worth hunting down the next time you're seeking a super smooth drink. Zyr Vodka is Russian vodka at its finest and it deserves to be tasted right alongside every other premium vodka in the world. It is distilled from winter wheat and rye which has been fermented and distilled five times. The distillate is married with quintuple-filtered water before four trips through the filter and three stages of taste testing. It is all about the numbers (5-4-3) with Zyr. This attention to quality pays off in the final product, offering a super smooth vodka that anyone can enjoy. Drink it straight or mix it up, it's good no matter how you take it. Chase Vodka: Potato Vodka From the U.K.
A very fine English potato vodka, Chase is a leader in the premium vodka market. If you have yet to taste this one, be sure to add it to your list. Chase is unique in that it runs a field-to-bottle operation. Considered a single-estate vodka, the distillery is on the same land in Herefordshire where the potatoes grow. The vodka is distilled in both copper pot and continuous column stills and the result is a super clean spirit. This brand also dabbles in the flavored vodka market, but in a more unusual way than most. It produces marmalade, oak smoked, Naked Chase (apple), and rhubarb vodkas. The distillery produces Williams Gin and a line of fruit liqueurs (raspberry, elderflower, and blackcurrant) as well. Norway is not well-known for their vodkas on the international scene. However, if the country produces vodkas like Christiania more often, then everyone should take note. Trondelag potatoes and arctic spring water are the keys to Christiania's clean, smooth taste. The six distillations and charcoal filters probably don't hurt either. Christiania is simply a very fine vodka and it is perfect for cocktails or sipping straight. Kazakhstan is another country that is not typically associated with vodka. That's why you may be surprised once you get a taste of the brilliant Snow Queen. This is an organic wheat vodka that is distilled five times. It is married with Himalayan-fed spring water and goes through a birch charcoal filter. They also offer an Enigma Edition, which includes the gentle bouquet of lavender, rose, and vanilla. If you are looking for an organic vodka that is both top-shelf and tastes great on its own or in cocktails, give Snow Queen a try. Finding all of those elements in a single bottle is a rarity, so it is nice to have one that pulls it off to perfection. It is common knowledge that Iceland has the cleanest water in the world. So, it is only natural that it is also home to one of the cleanest vodkas in the world. While other spirits are known to take advantage of the glacial Icelandic waters, Reyka is the only vodka that is truly Icelandic, produced at the country's only distillery. The vodka is distilled from a mix of barley and wheat and the entire operation is "green," powered solely by the island's geothermal heat. This is an unbelievable vodka that is so clean, it's almost like drinking the water it's made from. Enjoy it on the rocks (with pristine ice, of course) or mix it into any cocktail. You will not regret having this bottle in your bar. Poland is well-known for producing great vodka, so it's hard to choose just one. When it comes to elegance both inside and out, U'Luvka is the vodka that will grab your attention. Wheat, rye, barley, and oats are the "noble" grains that are used to create this vodka. The combination results in a clean vodka with a wonderful balance of tastes, from sweet to spicy, and an underlying butter creaminess. Many people simply call this one delicious, which is not a word you hear often in the vodka world! Any grain can be used to make vodka, but quinoa is definitely not one of the most common. Yet, that is exactly what is used to make Fair Vodka. Produced in the Cognac region of France, it uses sustainably-sourced, fair trade quinoa from Bolivia. This vodka is exceptionally smooth and one of the cleanest you will taste. It has an oily aspect and is somewhat dry with a hint of sweetness. Like any premium vodka should, this one does just as well on its own as it does in a cocktail. The quality you find in this vodka follows through to Fair Ethical Wine & Spirits' other offerings. These include a couple rums, a gin, and a line-up of impressive liqueurs, including both coffee and chocolate options that are so useful in the bar. Crystal Head is a bottle that will stand out on any liquor shelf it adorns. The skull shape may look like a novelty, but the spirit inside is a remarkable vodka. The vodka is distilled from "peaches and cream corn" in Newfoundland. It goes through four distillations before a seven-step filtration process. Three of those filtrations pass through Herkimer diamonds. These are actually doubly terminated quartz crystal and not the typical diamonds you probably think of. The bottle was inspired by the mysterious 13 crystal heads of legend. It is the result of a collaboration between the brand's co-founders, actor Dan Aykroyd and fine artist John Alexander. 42 Below Vodka comes from New Zealand. Though it's now owned by Bacardi Limited, they got their start as a small premium vodka company that turned heads. Not only did they come to market with great vodka, for a number of years they also hosted the 42 Below World Cup. The competition pitted world-renowned bartenders against each other in crazy and extreme competitions like mixing a drink while bungee jumping. That same adventurous spirit lives one in each bottle of this vodka. Distilled three times from non-GMO wheat, the premium vodka is blended with natural spring water and goes through a total of 35 filters. The clear vodka is exceptional and the flavored vodkas are unique and fun to mix into cocktails. You'll find flavors like feijoa, honey (formerly Manuka honey), kiwi, and passion (passion fruit). The only grape-based vodka in the lot, Cîroc is a very fine top-shelf option. It is only natural that this premium vodka originates in France, home of world-renowned wines and brandy. This vodka is distilled five times from mauzac blanc and ugni blanc grapes. The last distillation trip happens in a custom copper pot still at Distillerie de Chevanceaux in the French countryside. Ciroc has also ventured into the flavored vodka market and these are excellent in cocktails as well. The amaretto vodka is most unique, though the line also includes fine examples of coconut, peach, pineapple, and red berry. Try them in recipes like the coco light martini, pineapple mimosa, and peach cobbler. While Ciroc may be best known as Sean "P. Diddy" Combs' brand, the real genius behind the vodka is founder Jean-Sebastian Robiquet. Combs was brought on by Diageo to help with marketing (and it worked).